Hey guys, I want to teach you how you can add “Categories” to your blogger blog, yes, it is possible. You may have been thinking it is not possible, but the truth remains you can add it manually. Not every blogger knows how to maneuver their ways when it comes to working on their BLOG, especially when it has to do with basic codes and Java script. Someone asked me why blogger does not support categories, my answer was simple you can’t get everything you desire but you can always improvise. Google may not have added categories to blogger but they have done bloggers so much good by creating the BLOGSPOT platform. No matter how big your blog grows, the blogger platform can accommodate it. All you need do if you have some edification to do is research and talk to webmasters. Have you seen how big blogs like LINDAIKEJI, OGBONGEBLOG AND ZEALMATBLOGS are? They are all powered by blogger. Now let’s go to the main topic. Just lately I thought of how I can improvise and add categories to my blogger blog and I found out it was easy and simple to implement. Having categories on your blog/website is of immense use when users want to look for what they really want in your website. I want to teach you how you can create a category section on your blog using “labels”. Just follow the simple steps I am about to take and you are there. Sign-in into your blogger account. Now go to your layout in your blogger. Click on add a widget in the position you wish to have your categories. Now click on add labels and rename the name field “labels” with categories. 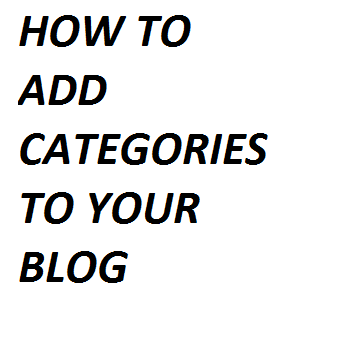 You can always create different categories if you have so many labels on your blog. Next is for you to click save. 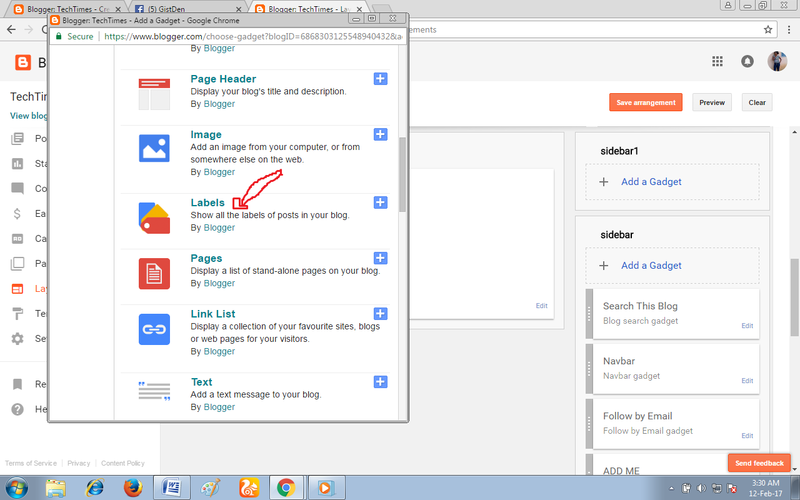 Now navigate the individual pages or URL of the labels you have. This is simply by copying the URL of each label. Use “categories” as the title. All you have to do is repeat this process for every label you wish to have on the categories list. Now you can also re-arrange the labels list on the LINK LIST if you wish to have them in a desired position. You can also reduce the number of posts to a limited number in the categories section, to do this you have to modify the label URL. Take for example, the URL for the label is http://myurl.blogspot.com/search/label/mycategories. You have to change it FROM http://myurl.blogspot.com/search/label/mycategories. http://myurl.blogspot.com/search/label/mycategories?max-results=max number of post to display. Note: you have to change the value of max results to the number of posts you desire to be displayed, for example you want 15 posts to show this is what you need to do. 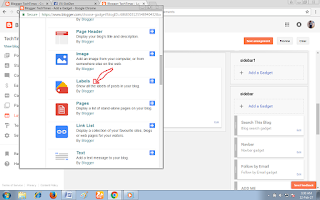 That’s just how simple it is for you to manually add categories to your blogger blog. I hope this tutorial has been helpful on how you can manually add categories to your BLOG. Please do share my stories if you found it useful.